Welcome to Deb's Dolls! The home for the repair and sale of vintage Madame Alexander hard plastic dolls. We specialize in dolls from the Fifties like Cissy, Elise and Cissette but occasionally have a Margret or Margot, Wendy Ann, Binnie... the list goes on. See our new 2011 catalogue for wonderfully pristine Madame Alexander dolls. Also visit the repair page for our list of restoration specialties: stringing, replacing brush lashes, re-painting facial features-eyebrows, lower lashes, blushing--adjusting eye position, re-joining legs, cleaning and styling wigs, all in the Mme. Alexander tradition. 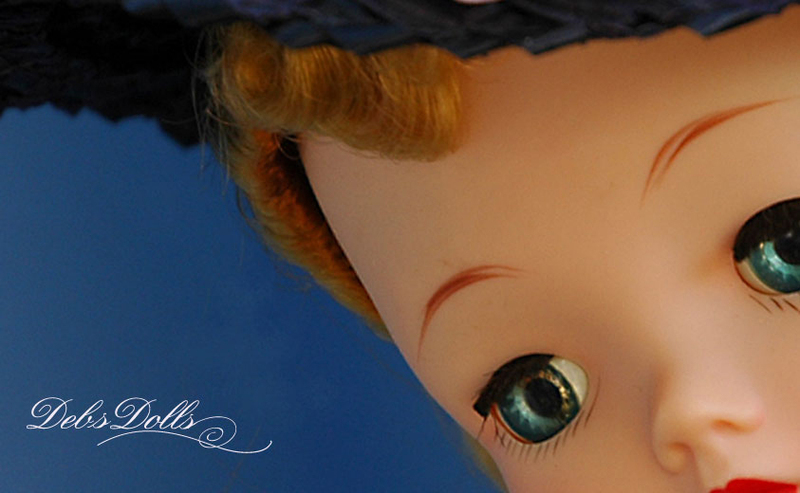 We can turn an overly loved doll into one that looks factory new. Thanks for visiting.